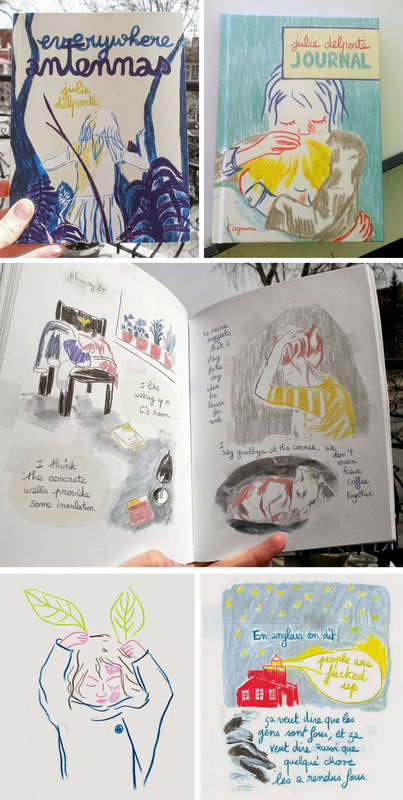 Julie Delporte is a French/Canadian illustrator based in Montreal who has a really loose comic style with a spontaneity that I really admire. Here is her website and her tumblr. You can buy her book here and she has another book which has just come out called Everywhere Antennas. Here are some images of her artwork below.